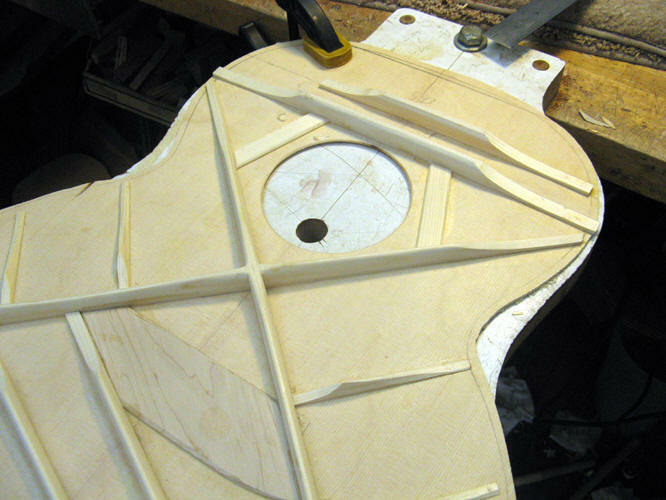 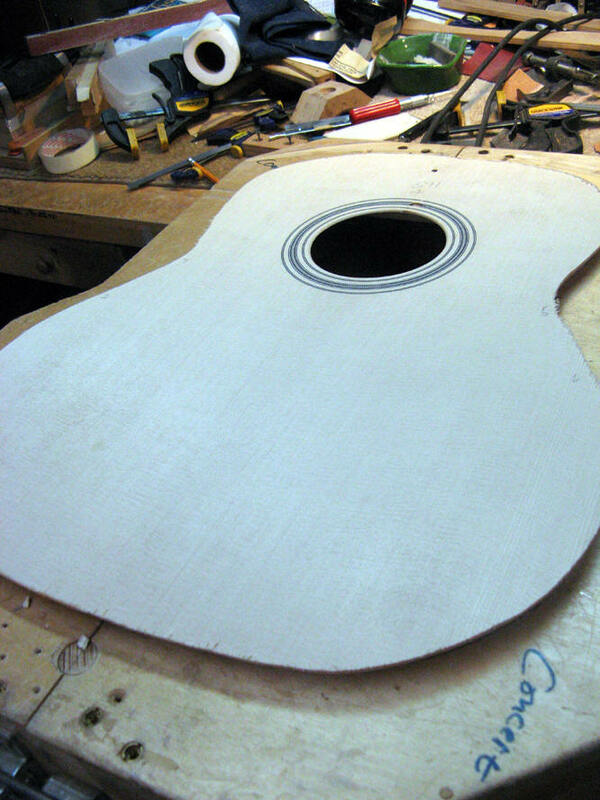 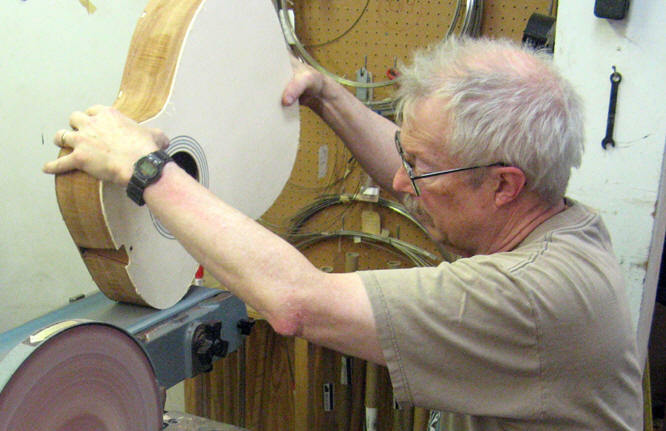 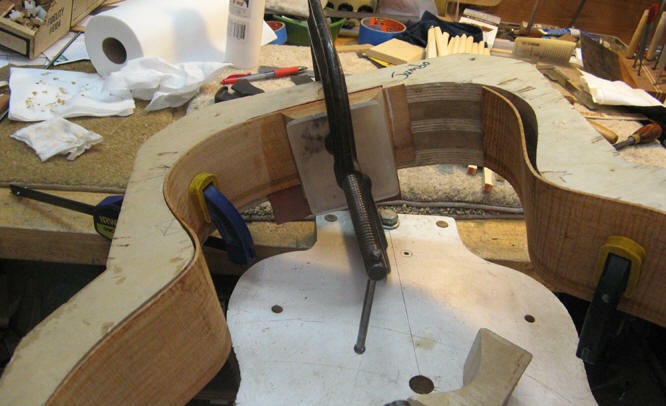 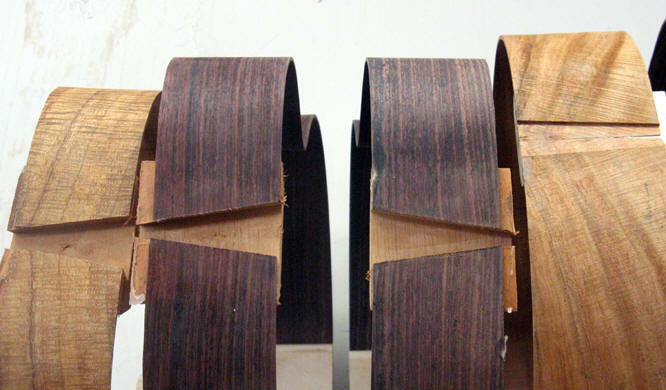 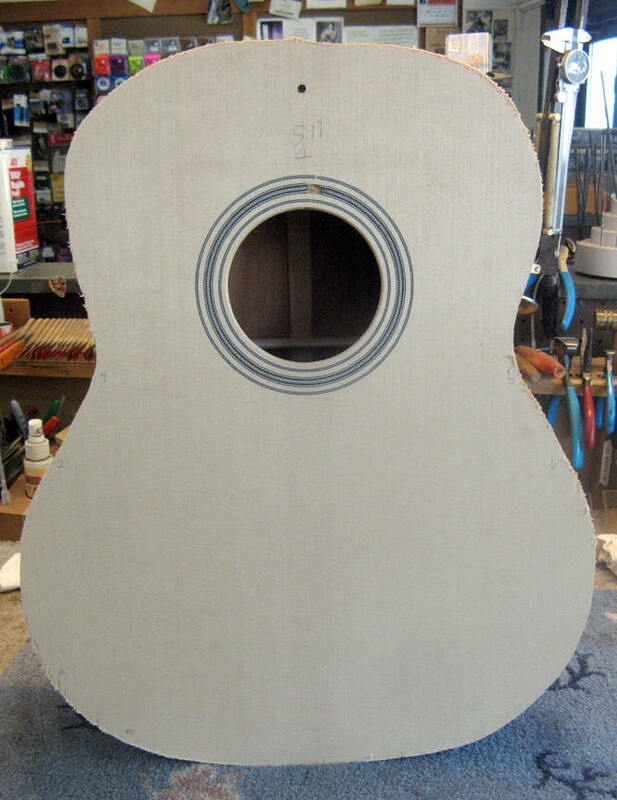 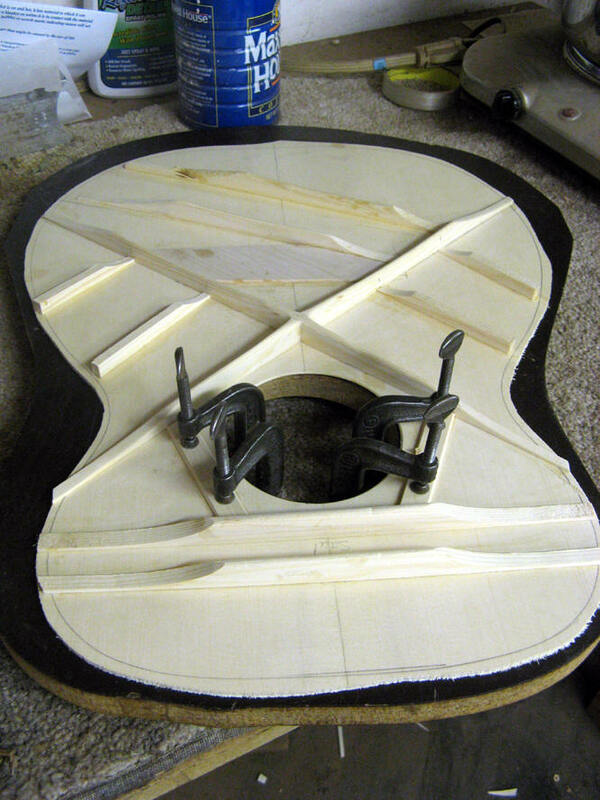 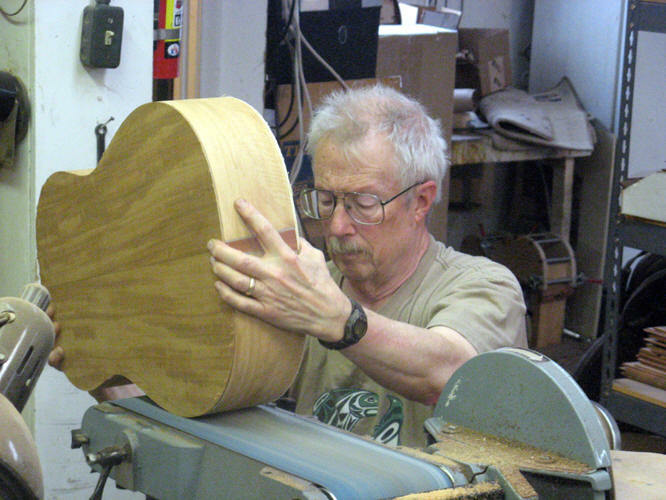 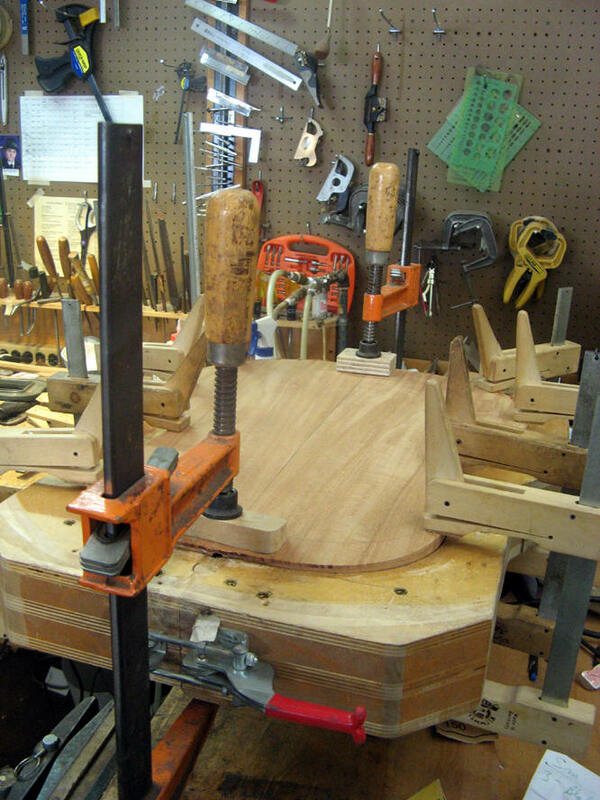 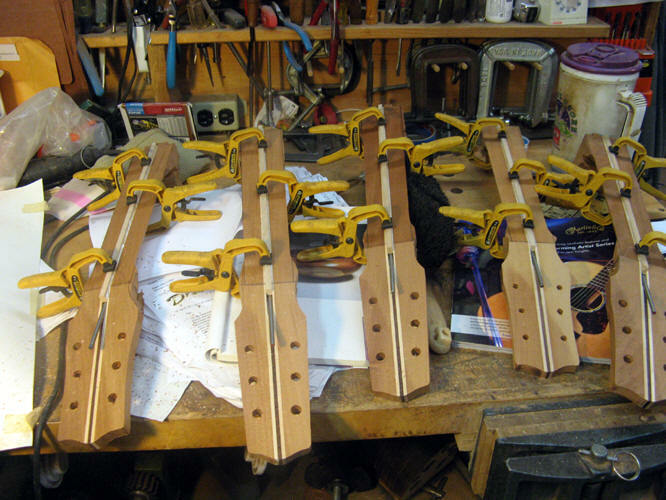 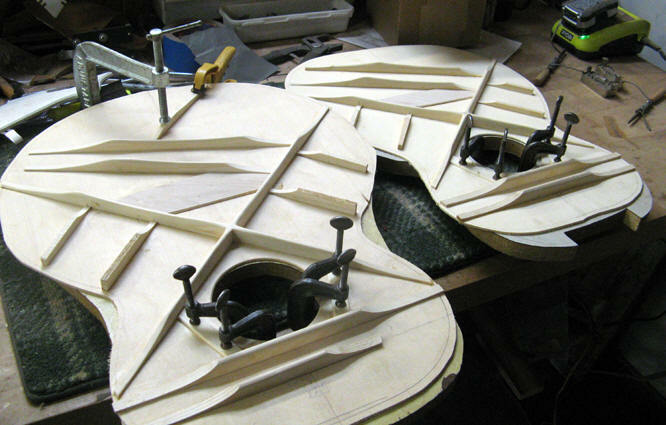 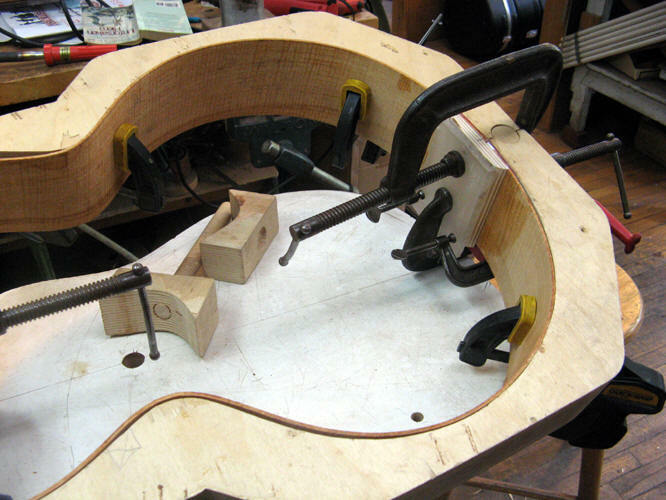 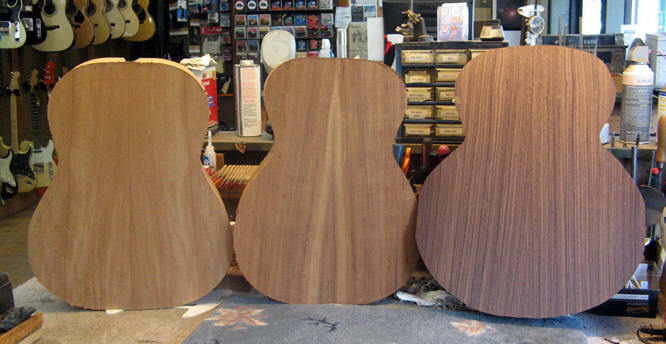 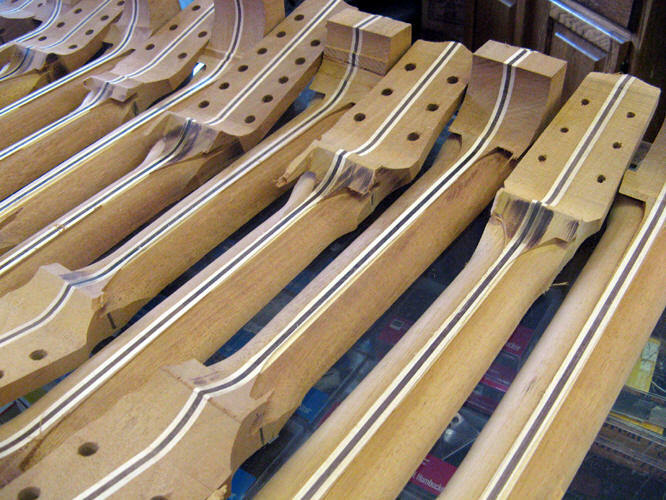 The photos on this page are of my current production batch (I generally make 8 to 12 guitars in a batch) This page will have the photos that are generic to all of the guitars (such as making the rosettes.) 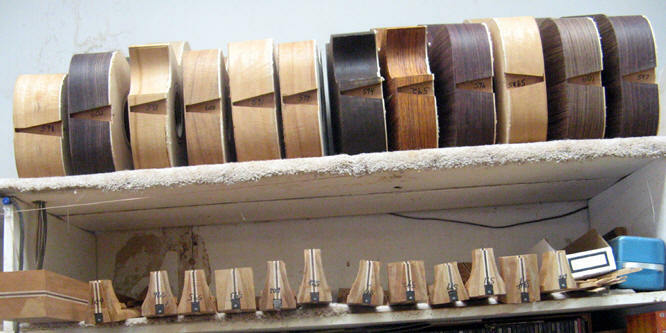 At the bottom of the page are links to the page showing the entire batch and to each of the pages for the guitars. 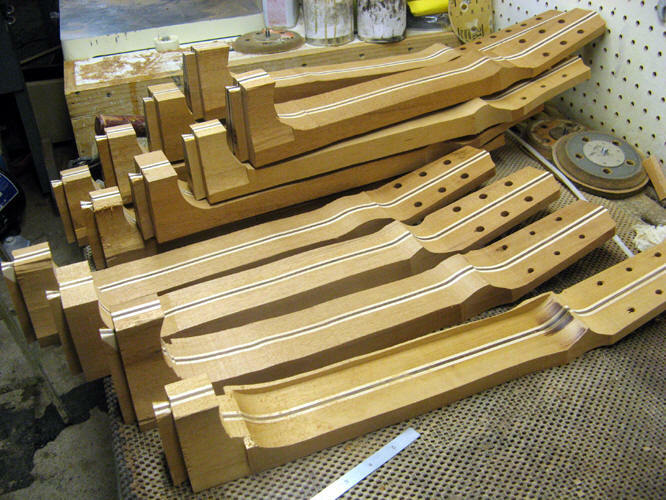 This is the first of the "General" pages for this batch - it shows pictures of steps that are generic for every guitar in the batch. 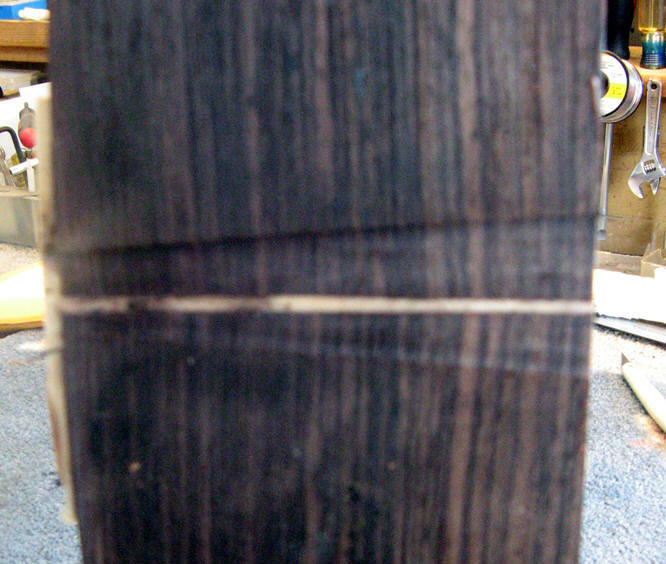 There are several such pages. 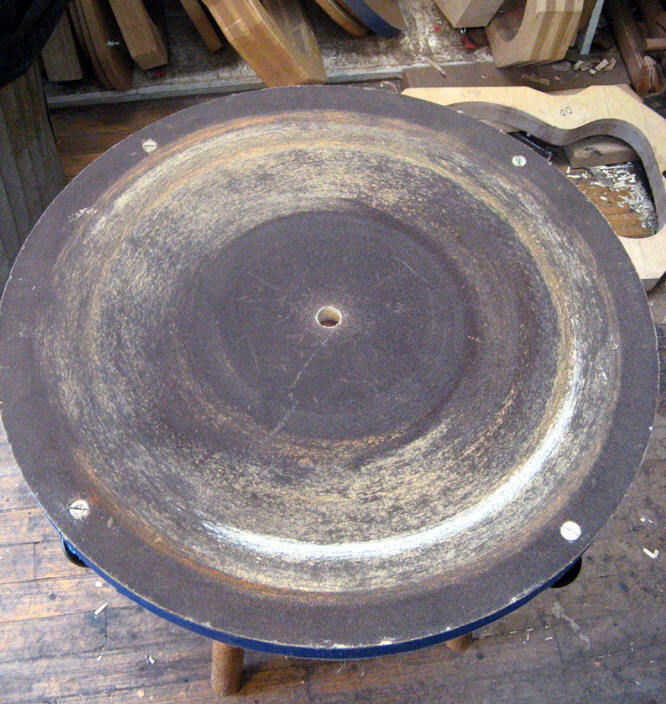 See also PAGE 2; PAGE 3; PAGE 4; . 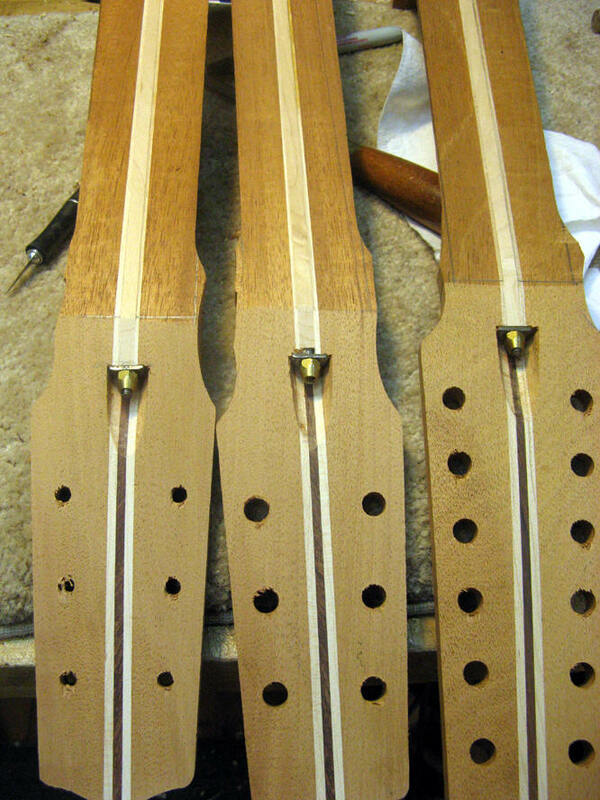 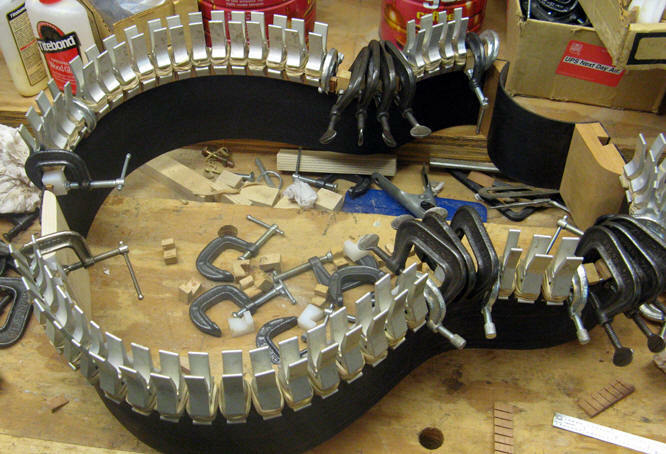 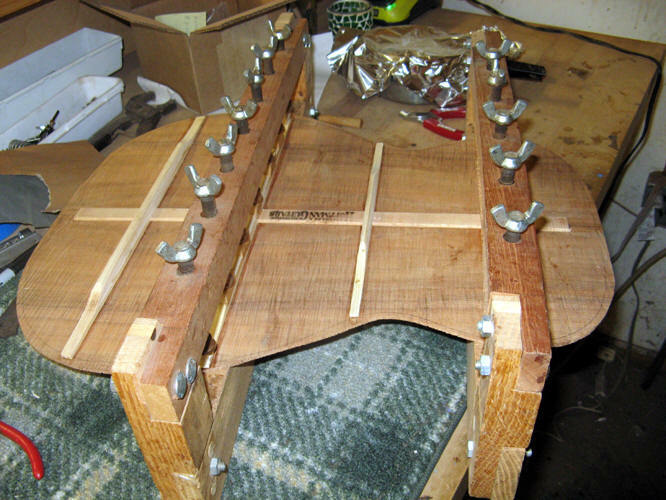 I am close to finishing with gluing on top braces. 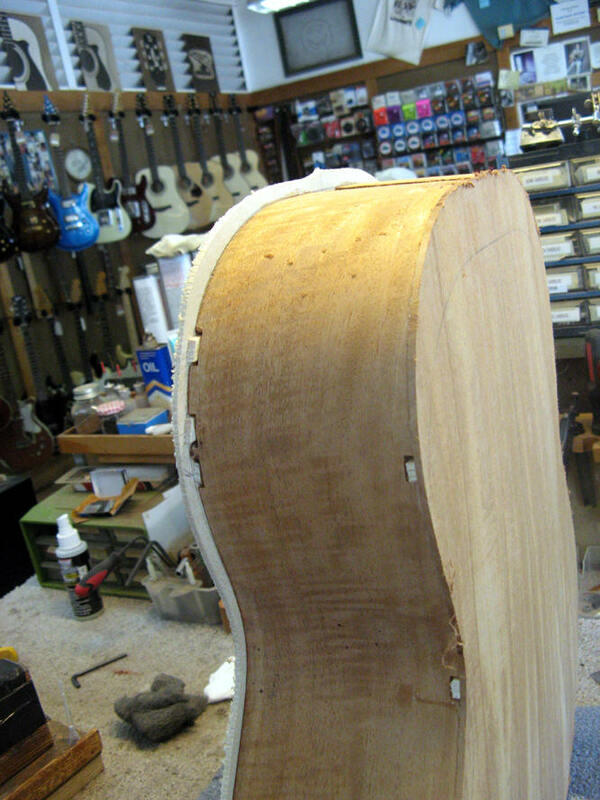 Some of the shaping and sanding is done but not all. 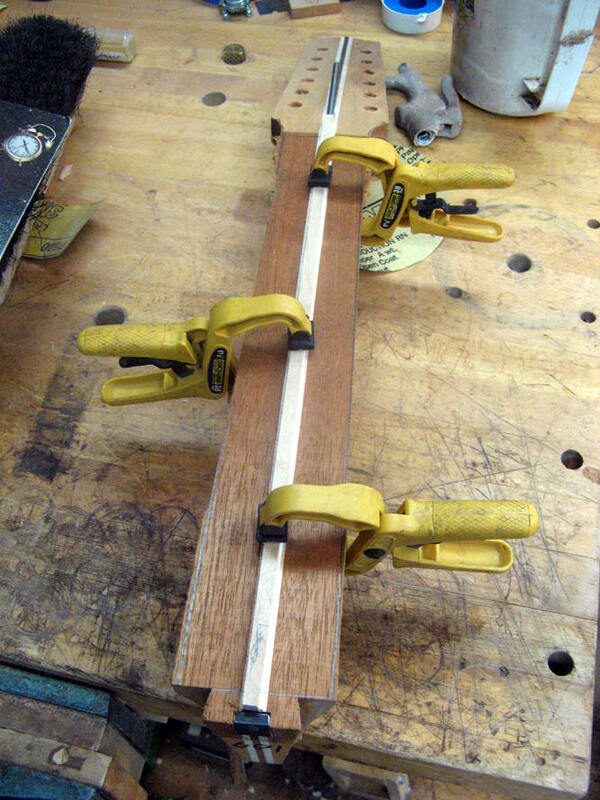 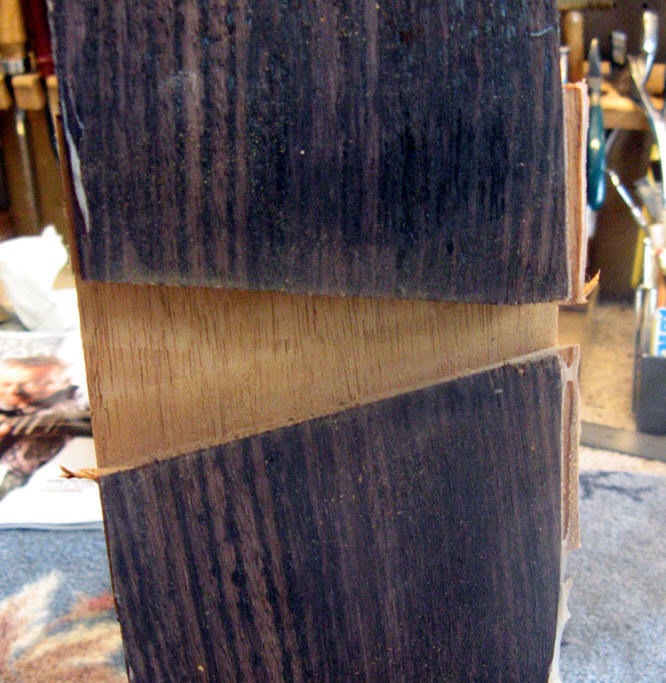 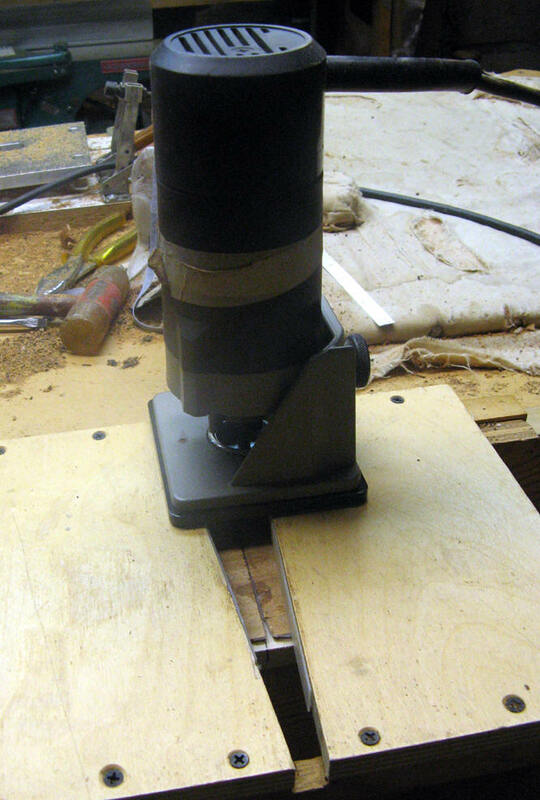 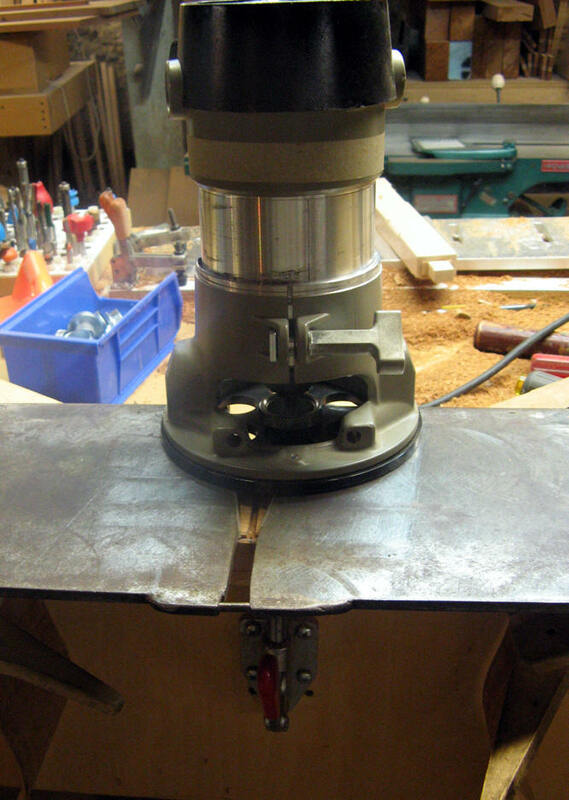 Gluing in a tail block. 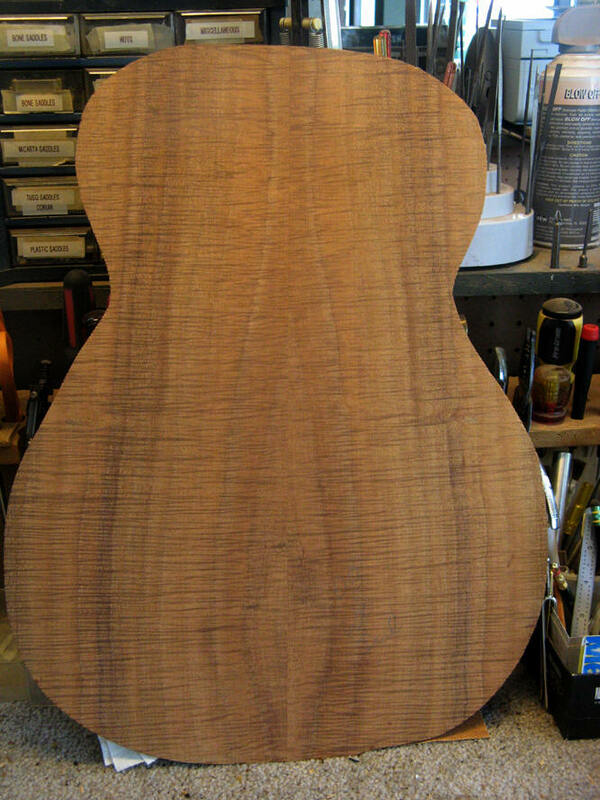 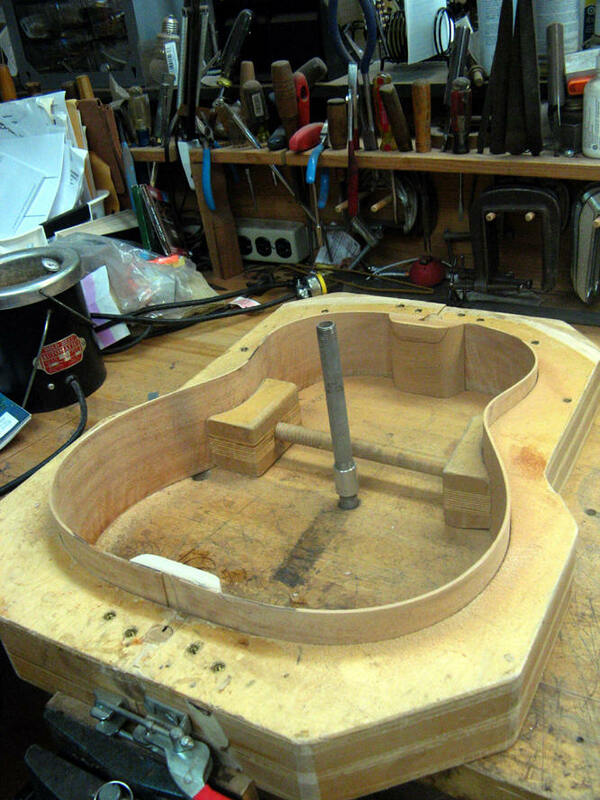 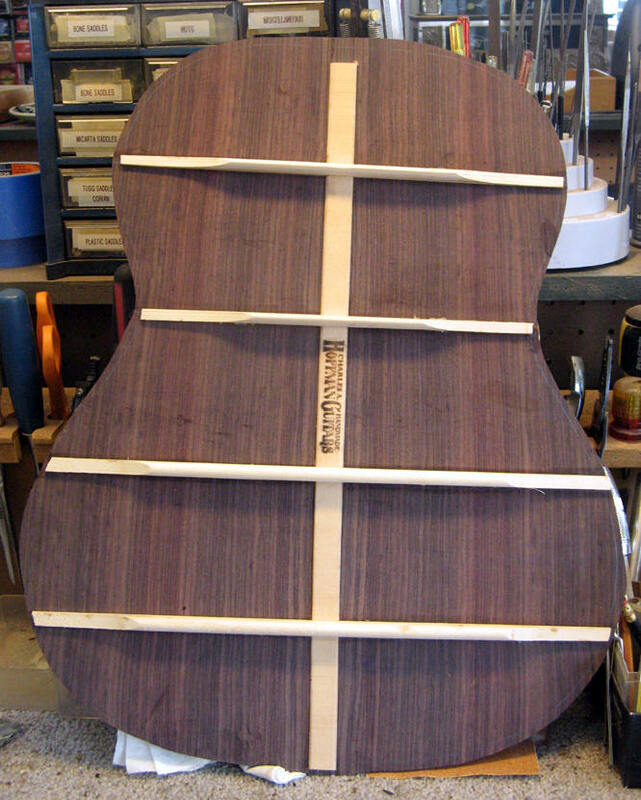 And a neck block - this one is a cutaway. 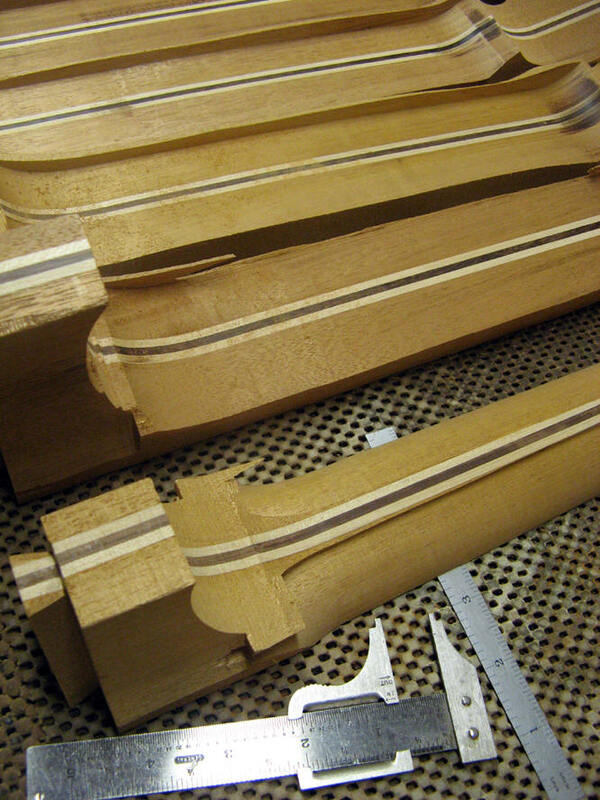 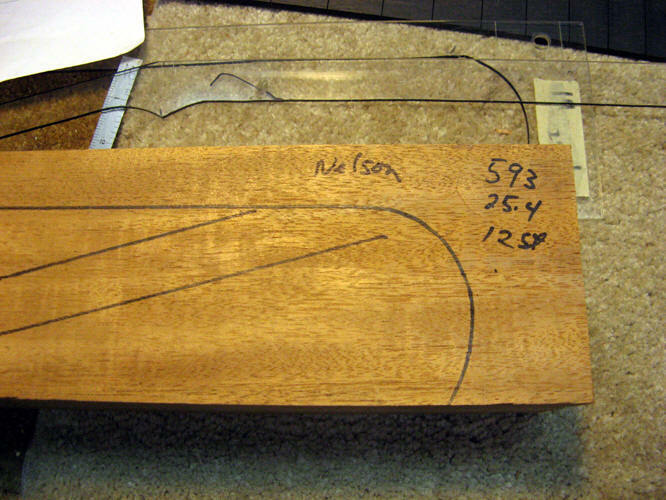 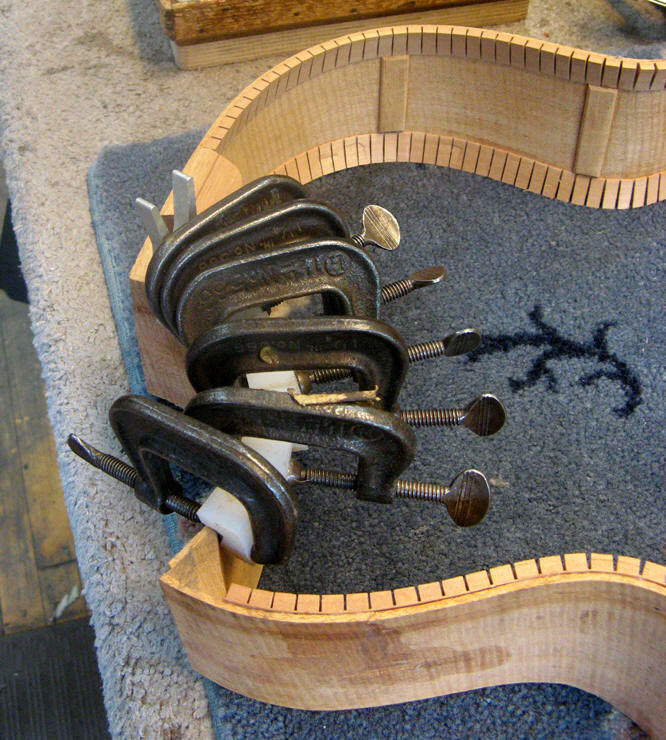 The cavity for the end wedge is done on these and so are the dovetail in the body. 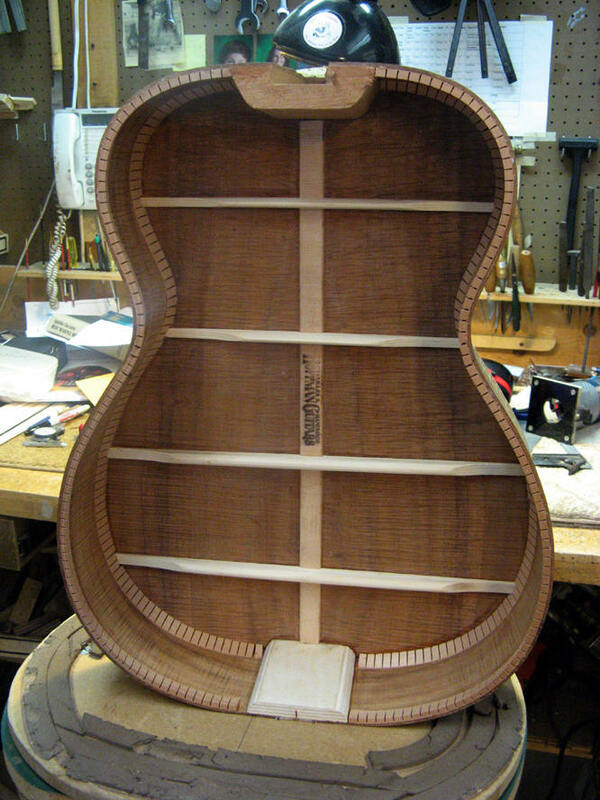 Koa back with braces on. 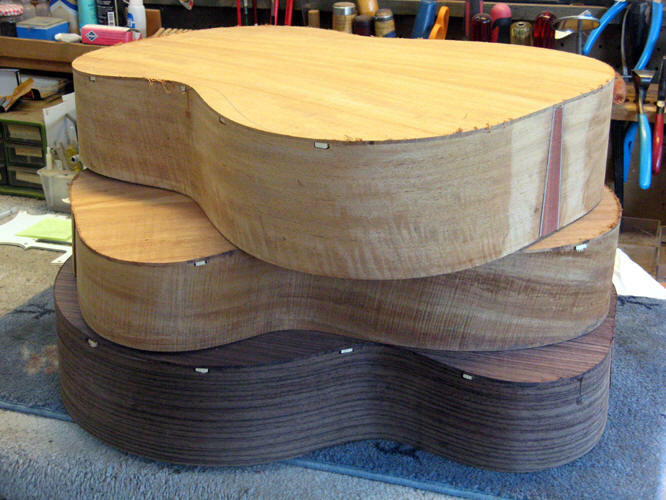 Same three with the backs trimmed to the sides. 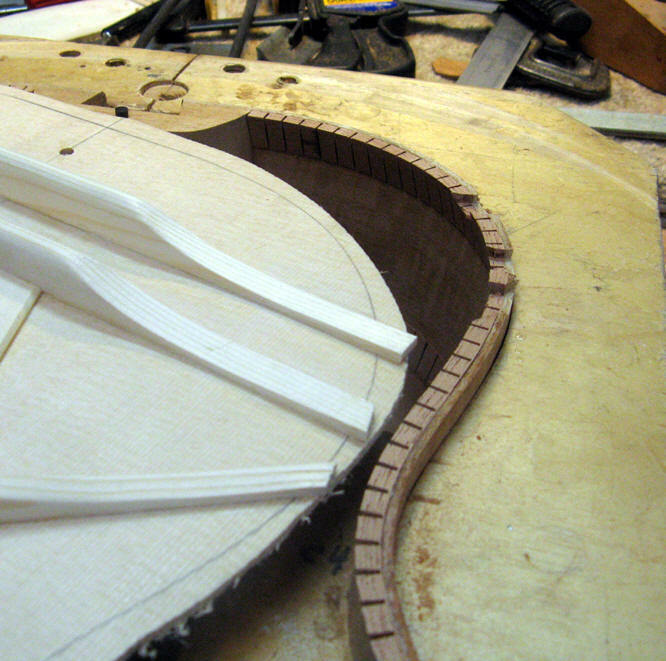 Top braces are all shaped and sanded smooth. 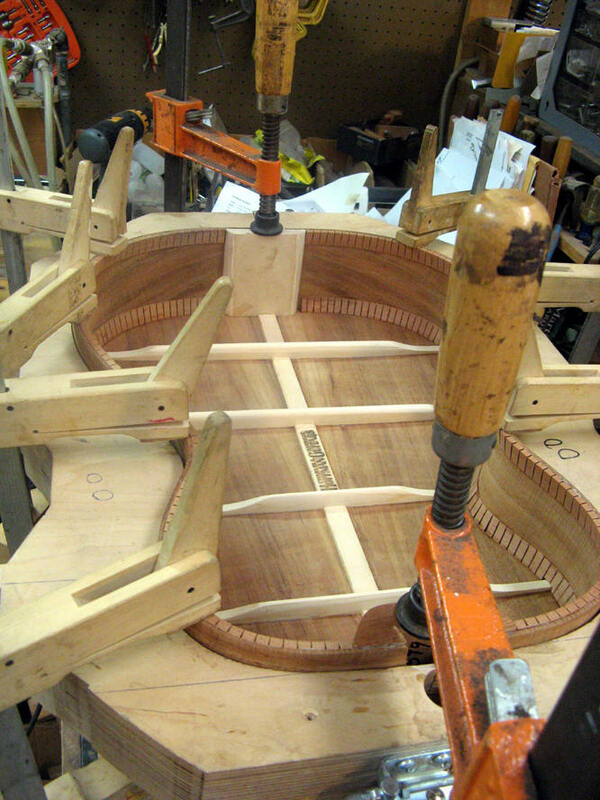 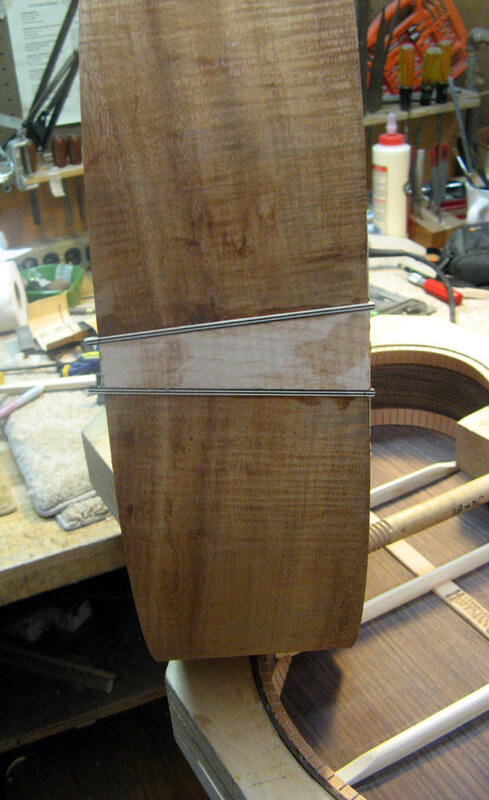 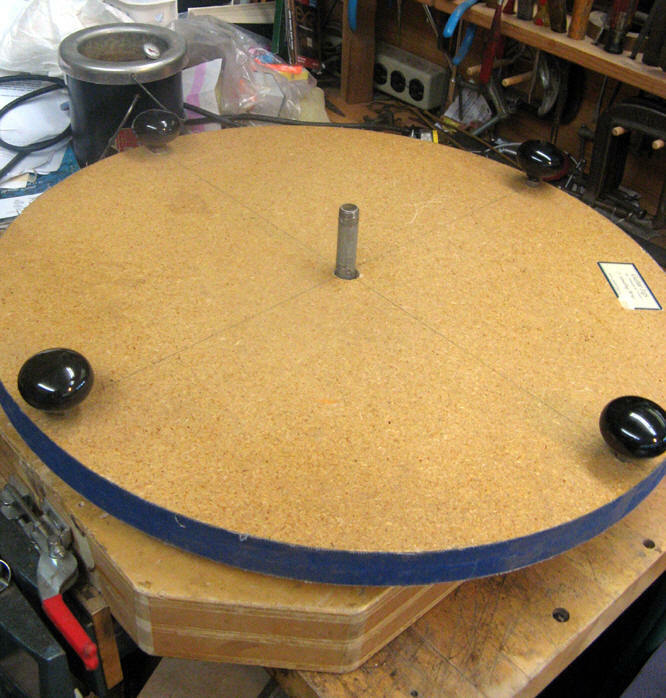 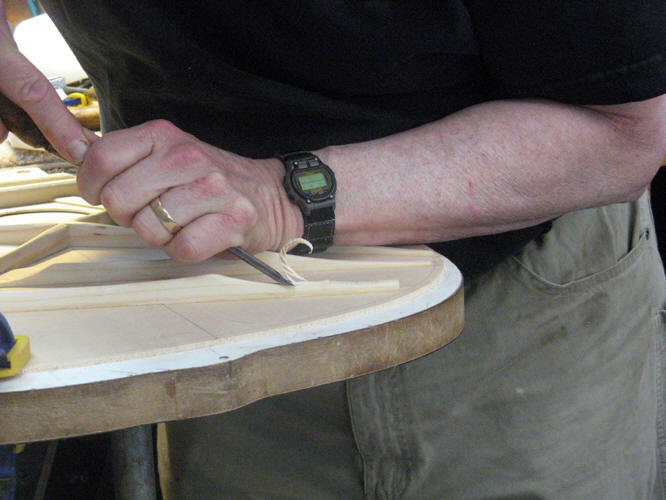 Sides are notched to accept the top and the braces. 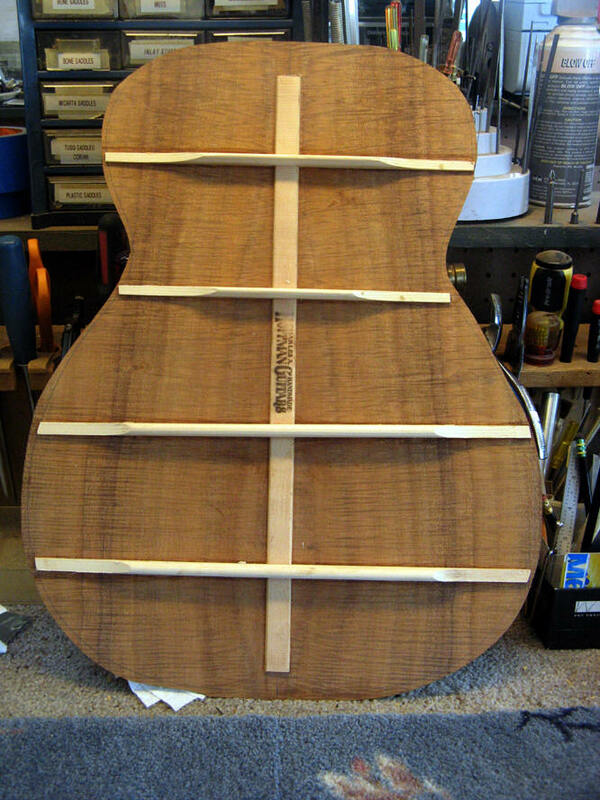 Top is ready to be glued on. 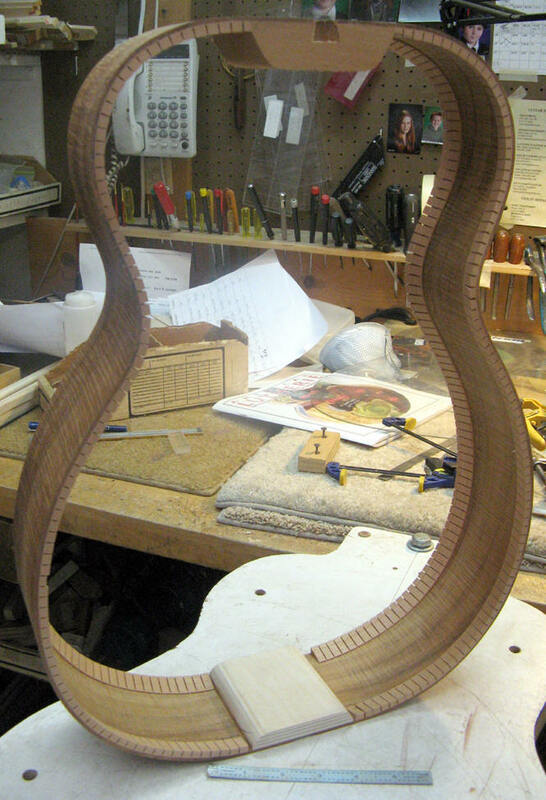 Necks and bodies are moving right along. 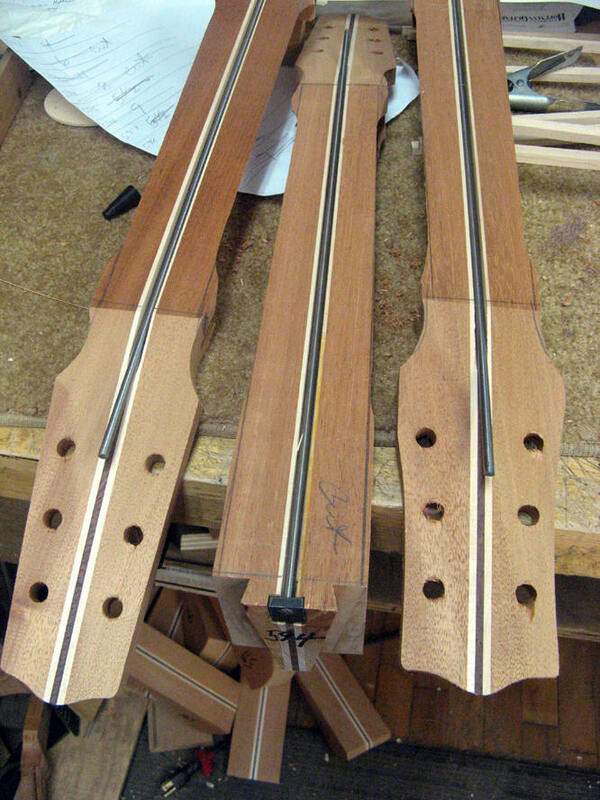 More on the binding process HERE.